Fabulous Mediterranean custom on a choice 0.690 acre wooded parcel. Open concept with a grand great room open to gourmet kitchen and to a covered viewing loggia with fireplace. Master suite on main level boast a private loggia and an elegant master bath. Grand bonus room with fire place, walk behind wet-bar and wine room. Resort like backyard with infinity pool and extensive patios and lush grounds for Summer fun. 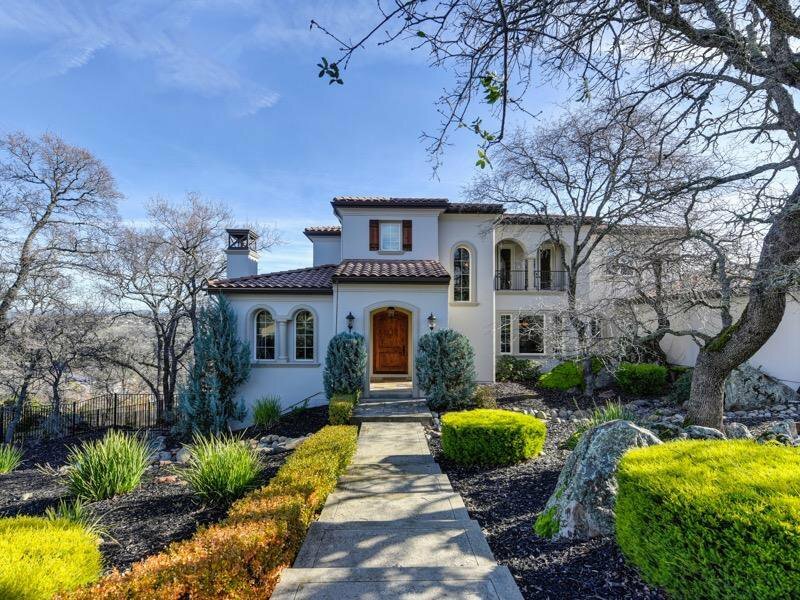 Listing courtesy of Re/Max Gold El Dorado Hills. Selling Office: Navigate Realty.